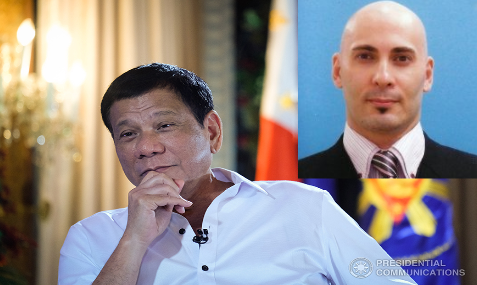 Home / Viral / Canadian Political analyst to President Duterte: He is a masterful political chess player"
Canadian Political analyst to President Duterte: He is a masterful political chess player"
Those who follow the Philippines politics are familiar with certain political actors that are aiming to make the Philippines' elected government look bad, and constantly play games against the government. For those who may not be familiar with those characters, one of those players is Senator Trillanes with a failed attempt of mutiny in 2003 and was sentenced to jail followed by a failed coup attempt in 2007 for judge denying him to attend his Senate office. Surprisingly and strangely, he is the first Philippine senator to be elected while in jail, and that explains his close ties to the corrupt officials that later formed the Aquino administration. By his own statement Trillianes said on his release from jail "since we are allied with this administration, we are going to help them in their legislative agenda. So we're not going to be outside critics here." While the justice Minister was the infamous narco-politician (then the Secretary/Minister of Justice) Leila de Lima and before that she was the Chair of Commission on Human Rights (CHR)! Things come in full circle when we look at the patterns, players, events and connections. The same pattern is being played today by the same group of people starting with accusations, building of alliances, creating of new groups, criminal activities, attempt to create anarchy to push for martial law, the links between terror groups and secret meetings, criminals murdering people and news and media blaming all of the murder cases and shootouts as EJKs, involvement of Leila de Lima, social media trolls in creating antigovernment movement, senators such as Hontiveros actively supporting anarchy, the current chair of CHR Mr. Gascon being deeply involved and imbedded with the Yellow Party! To understand things, maybe we need to take deeper look at the relations and personalities! Mr. Gascon "was in the Official Delegation for the 2012 Universal Periodic Review at the Human Rights Council in Geneva that was led by Justice Secretary and former CHR Chair [the infamous narco-politician] Leila De Lima." "Aside from Gascon, De Lima and other corrupt members of the Yellow Party, we need to get back to Teillanes, and how from a mutineer and coup conspirator to a full fledged Senator in Philippines during the last administration. "Trillanes filed his certificate of candidacy on February 7, 2007, to run as an independent senatorial candidate despite being detained for complicity in a failed coup d'état. Later, he accepted an invitation from the Genuine Opposition party (GO) as one of its guest candidates to field against the Arroyo administration. He campaigned successfully, while in jail, through the social networking site, Friendster. Trillanes was proclaimed Senator-elect on June 15, 2007 by the Commission on Elections." All those thing about him and his background is leaving room for speculation on his particular intentions and personality, and in addition begs the question on how he was able to get 11million votes during his campaign for the Senate seat while he was imprisoned for his mutiny and how he was able to get away with a coup attempt. I do understand the power of social media and how he and his allies were able to mobilize that to get him a senate seat. Running for the senate does not come cheap as everyone knows! What did his sponsors and campaign donors had to gain from his getting the seat, and of course Trillianes openly says where his loyalty was in GMA news, didn't he? To me all those things looks fishy! He shows no interest in public opinion, but he and his allies use spin doctrine to fashion a public opinion, and his latest schemes and ploys during Du30 administration does not look to be as effective as it was during Aquino administration in which follows the same patterns. In my opinion all that shows shows that during the time he was incarcerated for his mutiny that later was able to run for senate position, either he was able to "blackmail" the corrupt government of the time to let him get a "jail free card" and get "hush money" for going with the flow as he was told to do or was "in bed" with the corrupt politicians and judges of the time that allowed him to only get a slap at the back of his hand and yet while in jail be able to run for the Senate. He was not even an activist, but a m big question on how easily he was able to move from a position of a Naval officer with attempted coup to position of a "Senator"! In 2016 Philippines' Presidential Election, he was a candidate for the Office of the Vice President of the Philippines. He has a string of failed attempts in aiming to gain positions of higher power and influence, and there are allegations that he has done under table deals with foriegn nations and businesses. If all those things are true, the media must look at him and his associates with more scrutiny than just a politician! As in my opinion none of the above reflects well on his career resume and his personality profile! Though the above is an oversimplification of the whole accounts of observations on the events and actors involved with Trillanes, the evidence points to that direction that who Trillanes is claiming to be is not who he is ins actuality! I can say that all that is not far from the truth itself! In English we say, "the apple does not fall far from the tree." We have to look at who Trillanes has been associating with while he was conspiring to attempt a coup and mutiny, and then we can realize the links to his corruption and hunger for power very clearly. He has been the poster boy for the Yellow Party, and perhaps the simplest explanation for it could be that he tried to oust President Arroyo from power, and being as one of the two youngest member Senators to grab the vote of people in his age group! Interestingly though by the portray that the Yellow Party owned news and media organizations paint (in which Trillanes is an affiliate of), they claim that Trillanes is said to be a vocal opposition to government, and yet strangely enough the majority of the Filipinos see him as a joke, even on an interview he had on the 21st of June 2017 with BBC HardTALK host, he embarrassed himself internationally by showing that he was not in touch with the Filipinos and the reality that the Filipinos were facing. He became the subject of a joke that he had created for himself. Once again he is subjected to a joke that people think he is! He signed a waiver to allow his bank accounts being investigated, 'though the "Justice Secretary/Minister Vitaliano Aguirre II said the waiver on bank secrecy signed by Sen. Antonio Trillanes IV is not covered by AMLA" and thus "useless." In a sense, Trillanes is all talk but no action playing childish games seeking attention toward himself by distracting attention from other things! It was with all those none sense and childish plays of Trillanes that Du30 made a strategic political move, and since Trillanes' waiver on bank secrecy he had signed was useless, Du30 used that opportunity to play a move in trapping the corrupt Senator in an attempt to expose Trillanes to show all that he was worried about his foriegn bank accounts. Of course that is the first move of Du30 and Trillanes fell for it! Trillanes is more so is like a distraction tool for the Yellow Party as they organize for other ploys they have in mind. Of course, Trillanes being the naive childish fool he is, he desperately flew abroad to check the bank accounts himself. Du30 had announced later that the bank account number was a made up one, and kept the news honest. Many strategist are amazed with Du30's masterful ability to force Trillanes out of his hole to check the bank accounts. The way I look at Trillanes is like him being an egomaniac child with ADHD (Attention deficit hyperactivity disorder) stuck in an adult's body without himself even realizing it him having it, a naive child that easily gets tricked and easily angered and gets out of control. Everyone has seen his behavior during the senate hearing. As you all know, "ADHD is a mental disorder of the neurodevelopmental type. It is characterized by problems paying attention, excessive activity, or difficulty controlling behavior which is not appropriate for a person's age." Du30 used navigated skillfully by using Trillanes' ego against himself and setting him up for many moves coming later ahead. Something to just worth waiting and seeing. I can imagine few more move which he might play, but I am sure he has other strategies in mind, because the moves I think he would play is open and visible, but he is a masterful political chess player who sees much more moves ahead of the game. It's unfortunate for Trillianes that he is a novice and a bad player in his many failed attempts to gain power and control over the Philippines. Today is September 21, and Trillanes and his associates in the Yellow Party will attempt to create anarchy and chaos during the protest on anniversary of Marcos' martial law. They may vandalize and act disorderly for the cameras, and Du30 has already read that move long ago and so made it clear to all that they can do protest as they wish, but do not vandalize or disturb the peace and act lawfully. And told the public not to bring guns and weapons to the rally. While he said that the Chair of CHR response makes one to think what his true intentions are! Trillianes certainly has surrounded himself with a lot of corrupt people and today we will see how the protestors will behave - peacefully, orderly and lawfully or will act in a way that Du30 will be forced to declare martial law? What would be the news reaction? How would they play their word games against the Du30 government this time? What other games are at play and in motion against the administration? Earlier I have had written my speculations, but I thought it would be better to hold it and see how things will unfold!